Static Radio NJ kicks off a tour of the East Coast today in support of their debut full-length, An Evening Of Bad Decisions. The album was released earlier this week – September 9th – via Black Numbers. To coincide with the release and tour, the band has posted two new songs on their myspace page for your streaming pleasure. Check it here. 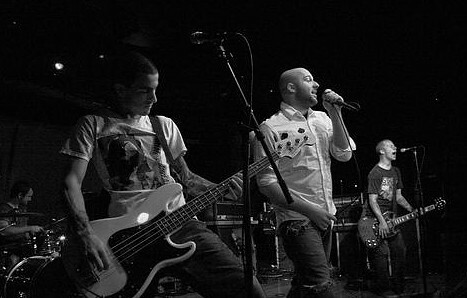 Additionally, the record continues to stream in its entirety at Punknews.org. This current tour will take Static Radio NJ up and down the East Coast for the next month, playing shows with Polar Bear Club, O Pioneers!!! and Smoke or Fire among others. They’re currently booking additional East Coast dates in October, as well as a few Canadian and Midwest shows with The Ergs on their way to Riot Fest in Chicago and…what else? The Fest in Gainesville, FL, of course. SEP 20 – Wilmington, NC – NEED HELP! SEP 21 – Chattanooga, TN @ JJ’s Bohemia w/ O Pioneers! SEP 30 – South Carolina – NEED HELP! OCT 09 – Montreal, Quebec @ TBA w/ The Ergs! OCT 10 – Toronto, Ontario @ TBA w/ The Ergs! OCT 11 – Michigan @ TBA w/ The Ergs! OCT 13 – Columbus, OH @ TBA w/ The Ergs! OCT 14 – Louisville, KY – NEED HELP! OCT 15 – Columbus, OH – NEED HELP! OCT 16 – Western PA – NEED HELP!